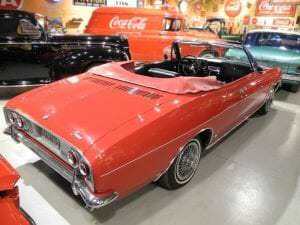 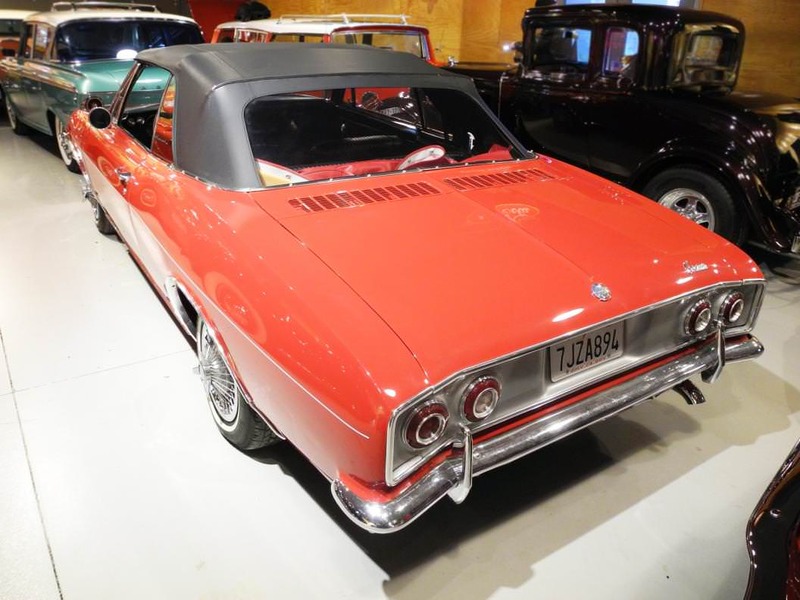 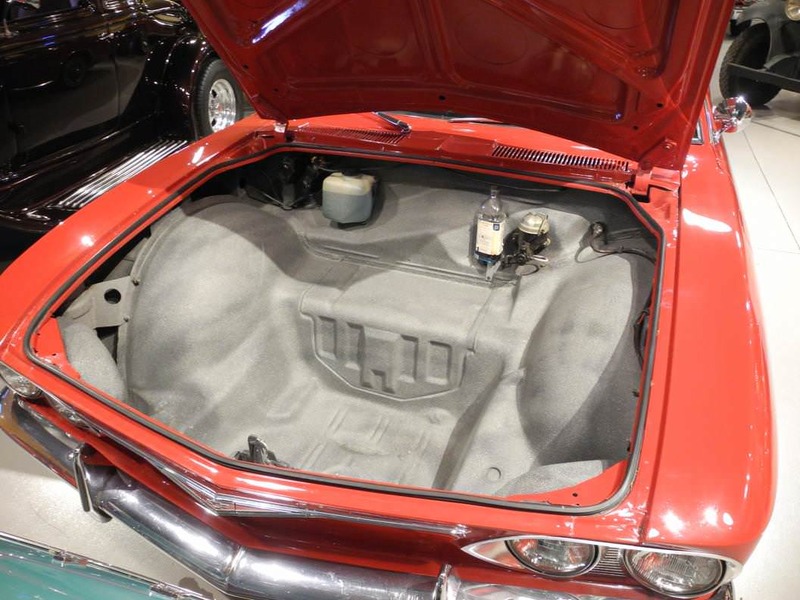 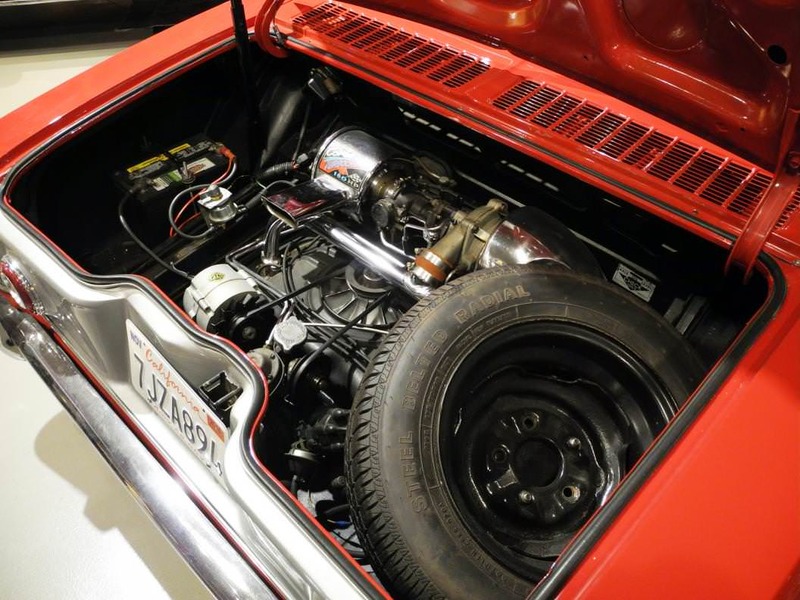 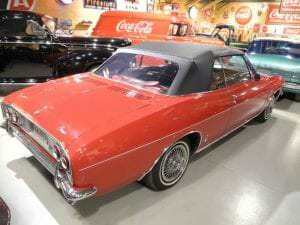 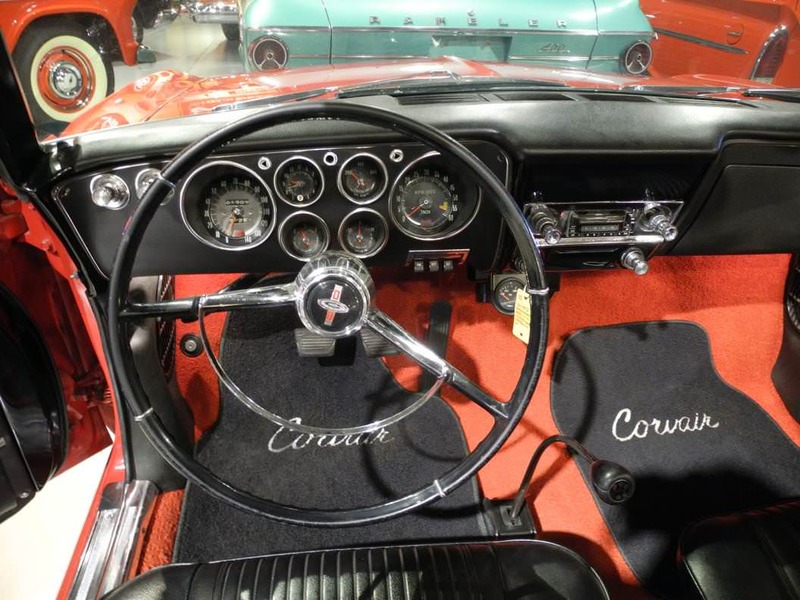 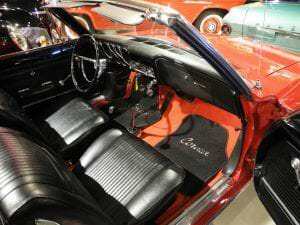 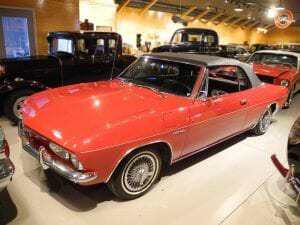 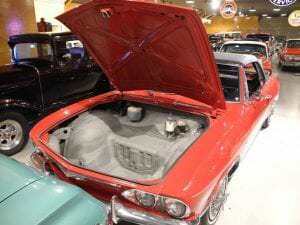 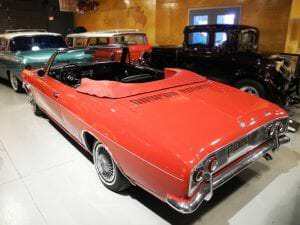 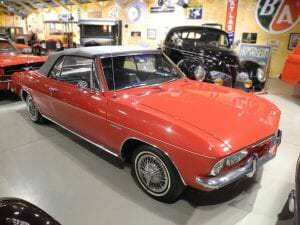 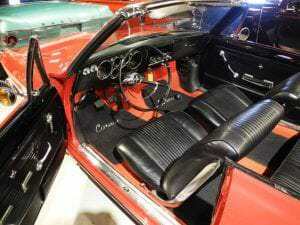 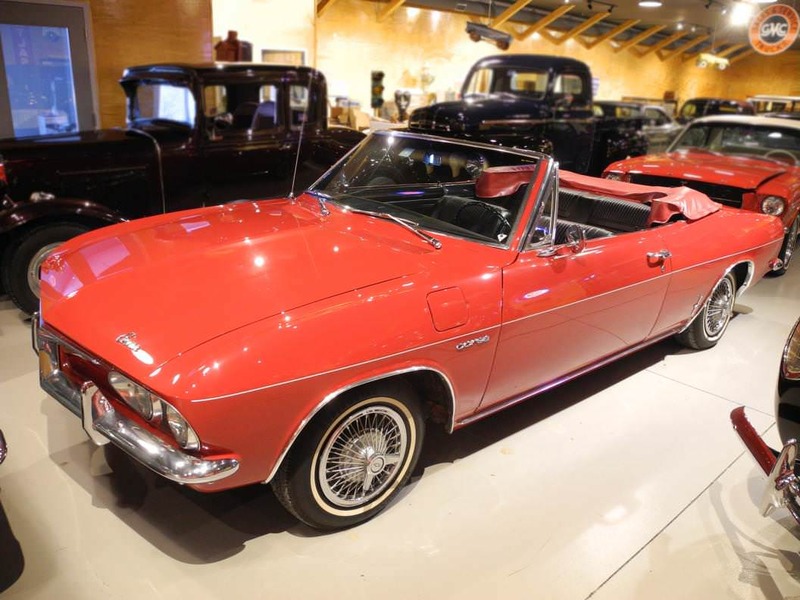 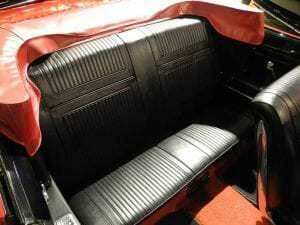 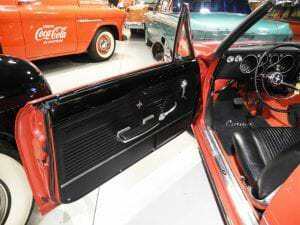 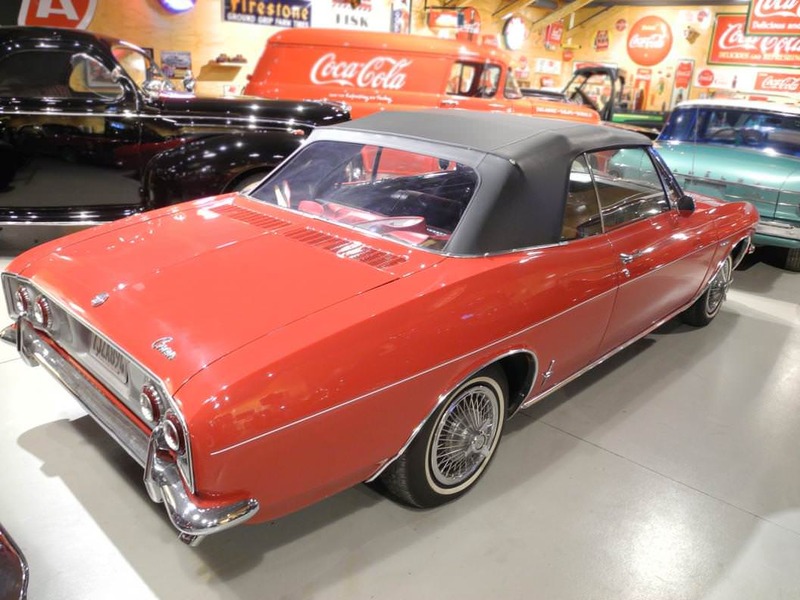 A budget minded performance enthusiast was thrilled in 1965 when Chevy introduced the new second generation Corvair, gone was the rear swing arm rear suspension in favor of coil spring at all four corners and larger brakes borrowed from the Chevelle, and gone was the generator in favor of the Delcotron alternator. 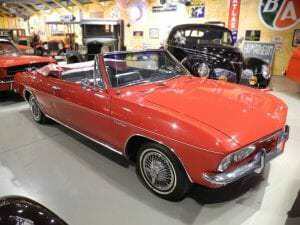 Refinements to the Corsa model were 140mph speedometer, 6000rpm tachometer, cylinder head temp gauge and manifold vacuum/pressure gauge, all to monitor the new desirable 164 cubic inch 180hp turbo charged air cooled flat six cylinder engine and optional 4-speed manual transmission equipped in this rare convertible. 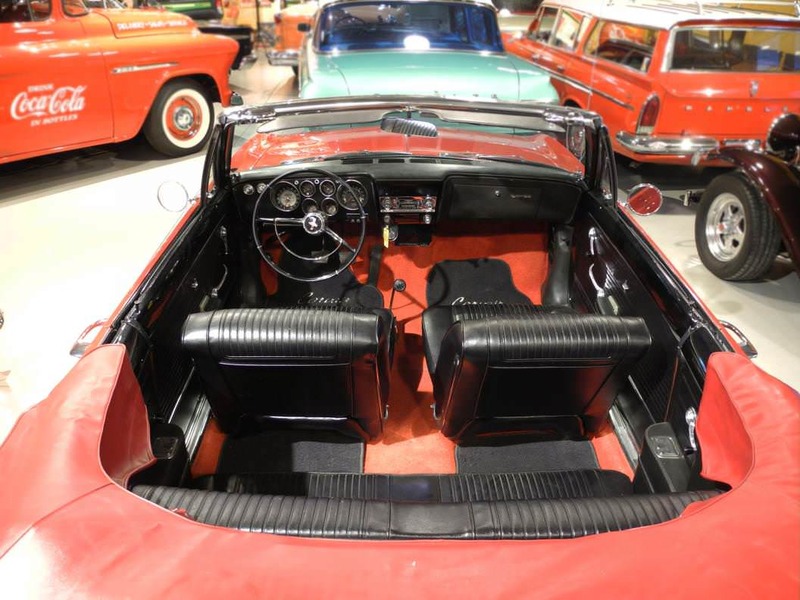 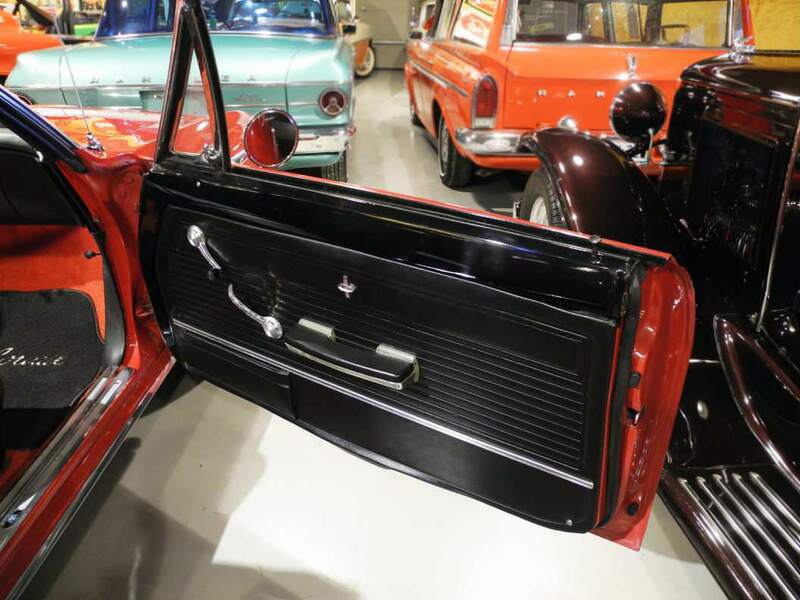 Finished in Regal red with black vinyl convertible top and matching black vinyl bucket seat upholstery, it is also equipped with a long list of Corsa options. 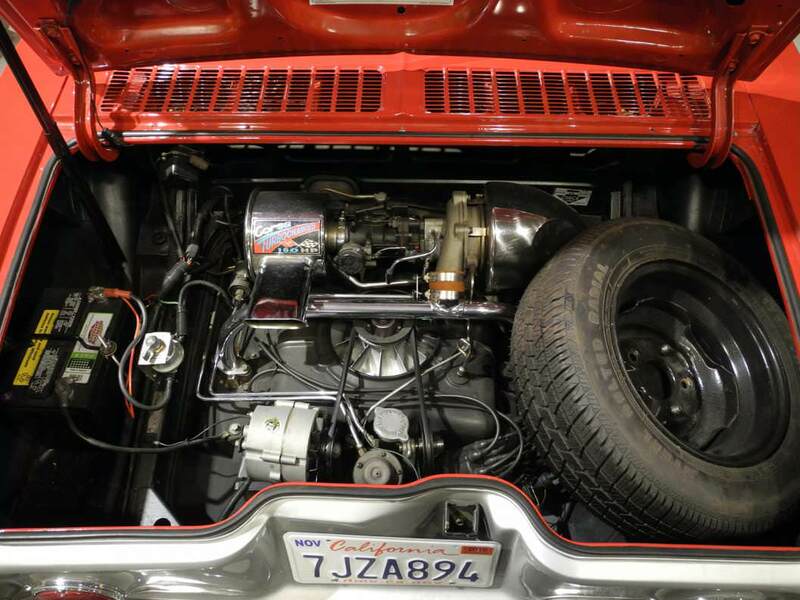 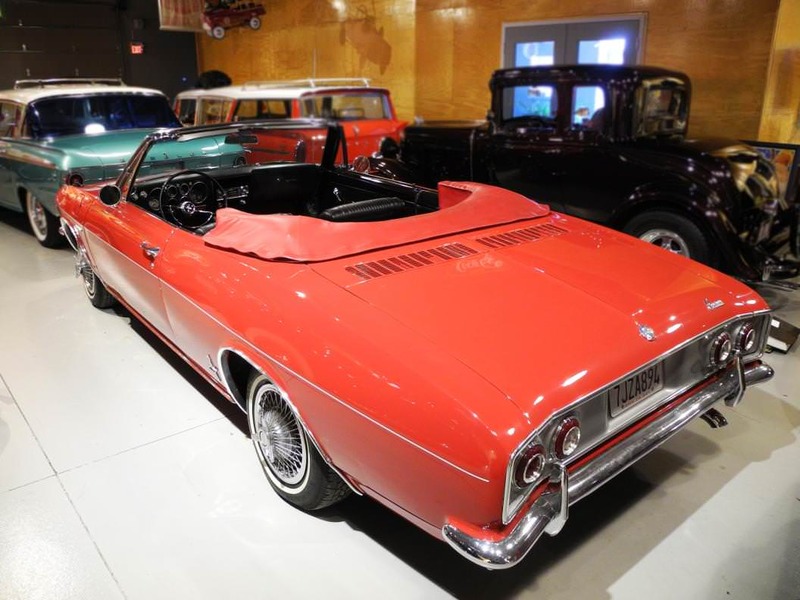 This southern rust free car sports a detailed engine compartment and a clean dry original undercarriage, riding on 175/80R-13 white wall radial tires adorned with factory wire spinner wheel covers. An excellent collector car.